George Bernard Shaw once said “A mind of the calibre of mine cannot derive its nutrient from cows”. Now, aside from the obvious arrogance and elitism behind this pronouncement, he was, in my opinion, essentially correct. And since wine (unlike milk which basically goes off after a few weeks) actually matures, improves, and even transforms with age, it should be stored in a manner befitting the calibre of GBS’s mind. 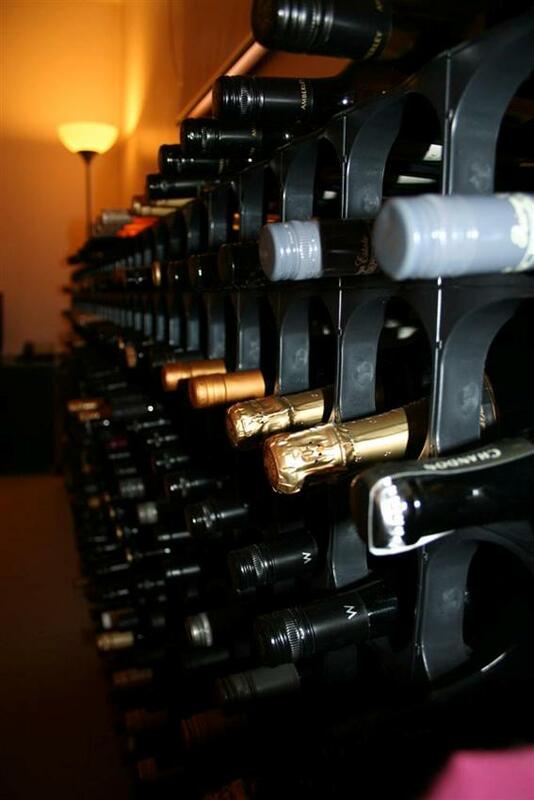 I’VE COMPLETED THE WINE RACKS!!!!! Yes!! 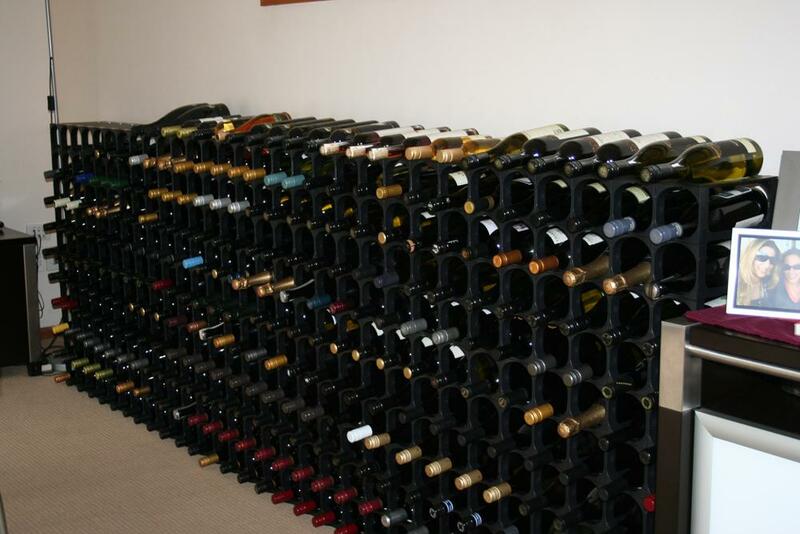 After a couple of weeks’ hard work, my wine is finally organised. And it took something. It took a number of distinct activities. 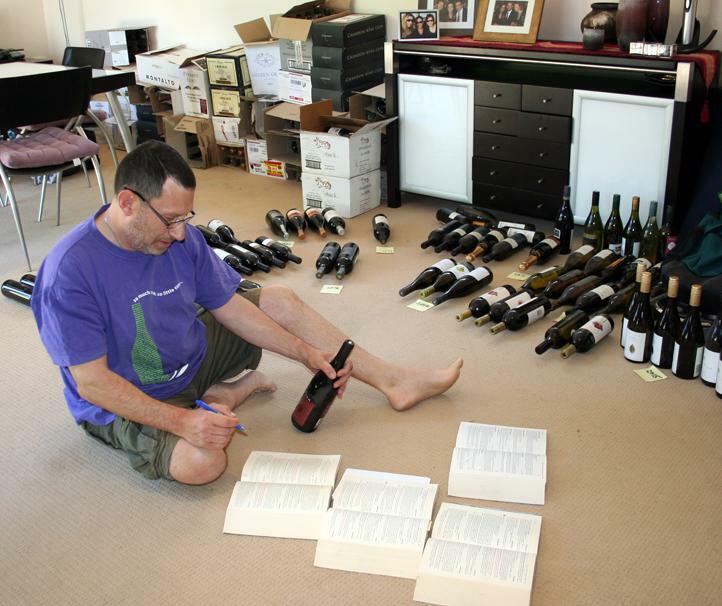 Unpacking, researching, sorting, and cataloguing – First I had to take every bottle out of its box and look it up in Halliday’s Wine Companion (4 years worth of books plus the internet). If Halliday hadn’t rated it, I’d look on any number of wine review sites and Google to find a “best year to drink by”. This was an awesome exercise because I actually learnt quite a bit. I then put that bottle in its “pile” with others to be drunk by that year. I had piles all over the floor with little yellow stickies signifying the year, including one pile which was for “UNKNOWN”, those that I couldn’t find even on the internet. I had two major concerns here. One was that somehow the stickies would get mixed up, either by a sudden gust of wind or, more sinister, by someone playing a cruel trick on me à la Joshua Shapiro in Richler’s Joshua Then and Now. The second was that my dogs, on one of their mad chases after each other up and down the length of the house, would smash into one of the piles and break dozens of bottles. But Tommy was very gentle, almost Fred Astaire-like in daintily stepping around and between piles and never touching a bottle. I then entered that bottle into a spreadsheet I’d created (there’s something new). 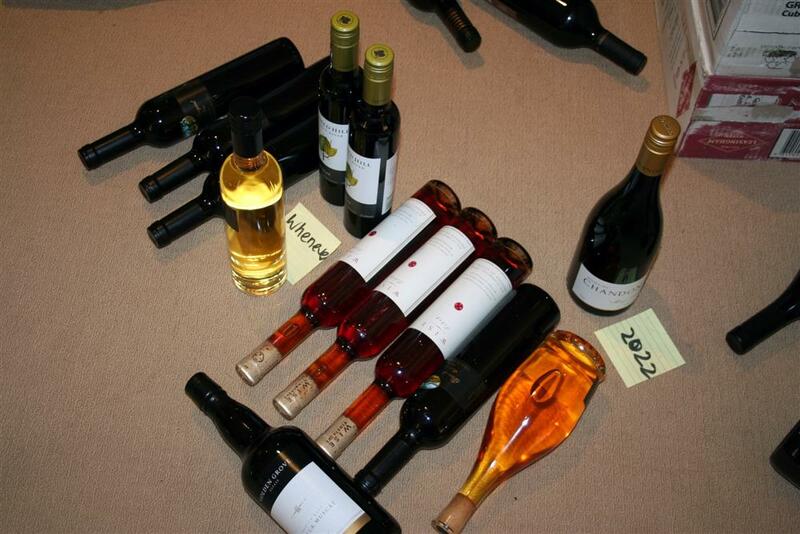 That spreadsheet can now be sorted by winery, vintage, year to drink by, winemaker’s first-born, you name it. I could say something about every place I called, but overall I just had a great time speaking to them, I learnt a lot more about wine and how you rate it and how you can tell when to drink it, and I completed my sorting and cataloguing. Assembling the racks – I had sourced some modular racks (CellarStak) about three years ago and I set about finding some more. After a few wild goose chases and an eventful drive to a shopping mall that seemed to be in the next time zone, I eventually got to speak to the Victorian representative of CellarStak, a guy called David who runs a Scrapbooking supplies shop which just happens to sell wine racks on the side. A strange combination indeed until you make the obvious connection: if your wife is scrapbooking, you may as well drink wine. David was also most helpful and got me all the modules I needed at a discount, plus he threw in a few little freebies, like labelling tags. I was ready. I then spent two days assembling the racks in front of the test cricket. You know how people say test cricket is as exciting as watching grass grow? Well this Aussie summer, I can safely tell you that the Test cricket against England was as exciting as assembling modular wine racks!!! Filling the racks – A family affair. With Helene and Sarah helping me, passing bottles to one another, using the spreadsheet in various sort formations, we filled the racks, bottom to top, right to left, in reverse order, so that they are all now in year-to-drink-by order and within that, in winery alphabetical order…… AND within that, in grape variety alphabetical order……………AND within that……. nah, that’s all!! I’m dreading getting a bottle as a gift and having to move 250 other bottles to fit it in the right place…… but that’s another story.